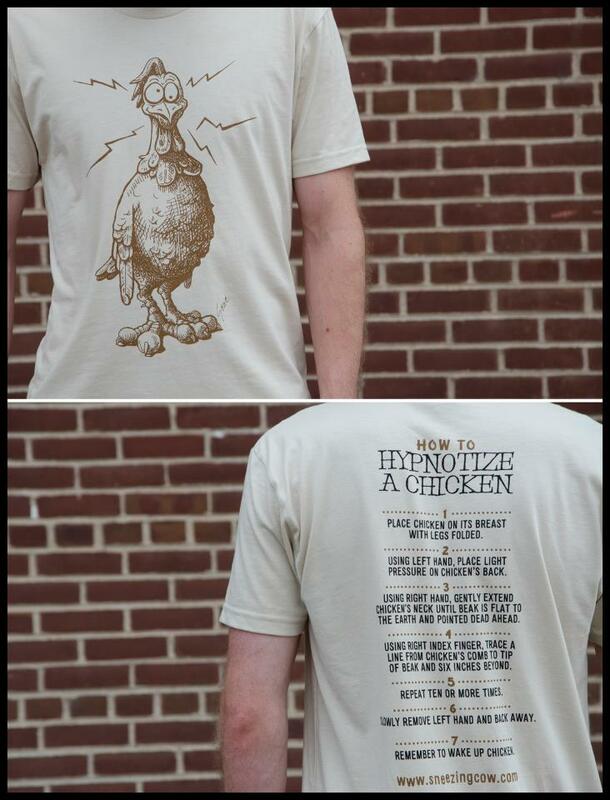 How to Hypnotize a Chicken T Shirt. 100% soft cotton t-shirt. Unisex sizing and fit. Back: How to Hypnotize a Chicken. Literally. If you follow these instructions (someone may have to stand behind you and read the instructions aloud) (or better yet, they buy a shirt also and stand in front of you) you too can successfully and harmlessly hypnotize a chicken. Especially useful for renegade roosters. T-shirts printed locally by our friends at Ambient Inks.